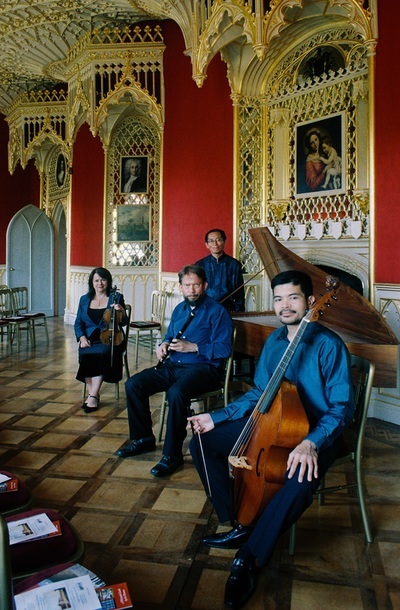 The early music ensemble Follia mark the 250th anniversary of the death of Georg Philipp Telemenn, including a selection of his ground-breaking 'Paris Quartets', together with music by his French contemporaries. This is what we do best at Music at King Charles: baroque music in a baroque church, played on period instruments - the architecture and acoustics suit the music perfectly. Follia specialise in period music played in historic venues, so King Charles in a natural choice. They have recently been playing at Lauderdale House, the Handel House Museum, Garrick's Temple and Walpole's house at Strawberry Hill. You can hear the group play some samples of this music at their website here. Yeo Yat-Soon was born in London of Chinese parents. Between the ages of 5 and 18 he lived in Tunbridge Wells, where for many years his father owned the Hoover Chinese Restaurant in Calverley Road. He attended Claremont Primary School and then the Skinners’ School.